Nothing new. 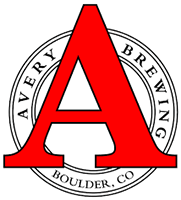 Some wet loose avalanches on S and E aspects at all elevations from warm temps and sun on Monday, and a few old Wind Slabs from the past weekend in alpine terrain down the spine of the Ruby Range on easterly aspects. Weather: Mostly cloudy skies but with periods of sunshine. Warm temps, above freezing at 11,500′ around 230pm. A few random flurries, with a snow shower earlier in the day leaving a trace of new snow. Light winds out of the SSW with some gusts. Wandered around a bit checking a variety of aspects in the snow favored portion of the forecast area to observe wet surfaces and how deeply water has drained into the snowpack so far this spring. Starting below treeline dug a couple of holes below 10,500′ on south and southeast aspects with HS between 120 and 140 and found 10cm wet surface snow, but a few cms of old crust still frozen. Water had drained to the ground on these sunny below treeline slopes. At the near treeline elevation band found around 5 inches of wet snow from the previous weekend sitting on a supportive crust on an ENE facing slope. Free water had percolated down 55cm from the surface forming an ice lens with percolation tubes going a few cms beyond. HS on this slope was close to 300cm. 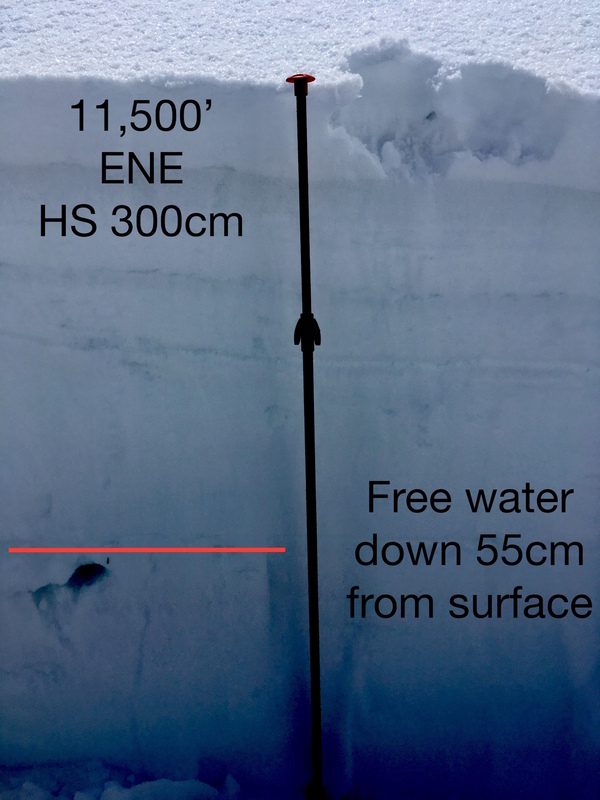 An easterly facing slope at 11,200′ with an HS of 260cm showed free water had percolated around 115cm down from the surfaces forming several ice lens’. A northwest facing slope at 11,500, HS 200cm, had free water drain down around 25cm from the surface. 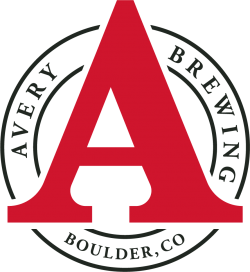 While probing, basal weak layers felt noticeably weaker than the stout slab above. 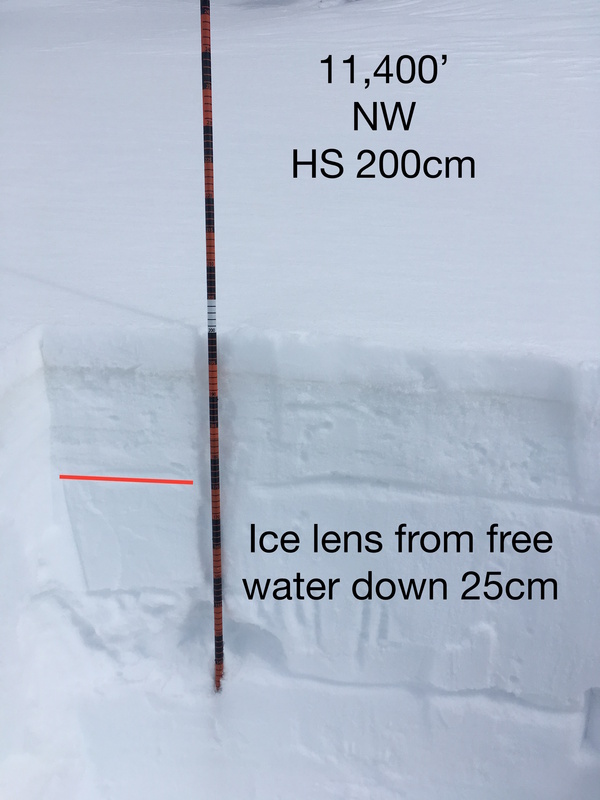 While probing the ENE and E facing slopes, that have significantly deeper snow depths, basal weak layers felt much stronger and were less noticeable while probing. Snow surfaces looked to have been just wet enough, near and below treeline, to trigger some small wet loose avalanches, but all locations had crusts below the wet surface which would have prevented wet loose activity from gouging much deeper into the snowpack.